Dr. Mark Soffing has spent his entire career in the radiopharmaceutical industry. He specializes in results associated with Radioactive Materials and Radiation Equipment Licensing, as well as current Good Manufacturing Practices (cGMPs) and Quality Systems. Dr. Soffing received his BS in Pharmacy from St. John’s University and earned an MS in Radiation Science from Rutgers University. He received an MBA from NYU Stern School of Business and completed a Doctor of Pharmacy Degree at the University of Florida. 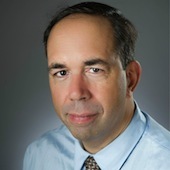 Dr. Mark Soffing currently holds the position of Director of Quality and Regulatory Affairs for the PET Center at Columbia University Medical Center. He haspreviously served as VP of Operations at IBA Molecular, and also served as Corporate Radiation Safety Officer and VP Regulatory Affairs. Dr. Soffing serves as a radiation safety and regulatory consultant for the Animal Endocrine Clinic.